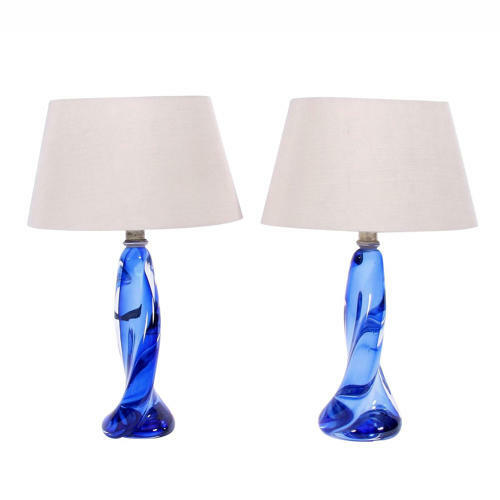 A rare pair of Val Saint Lambert table lamps with twisted blue glass. Pictured with bespoke, hand made, silk shades. Rewired and PAT tested.